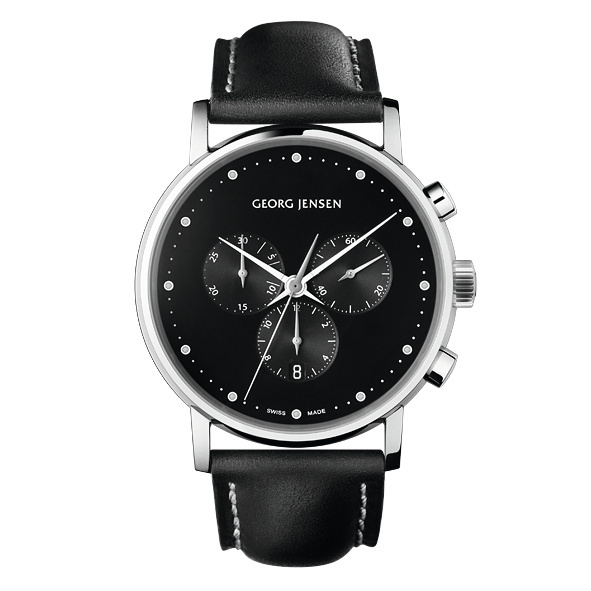 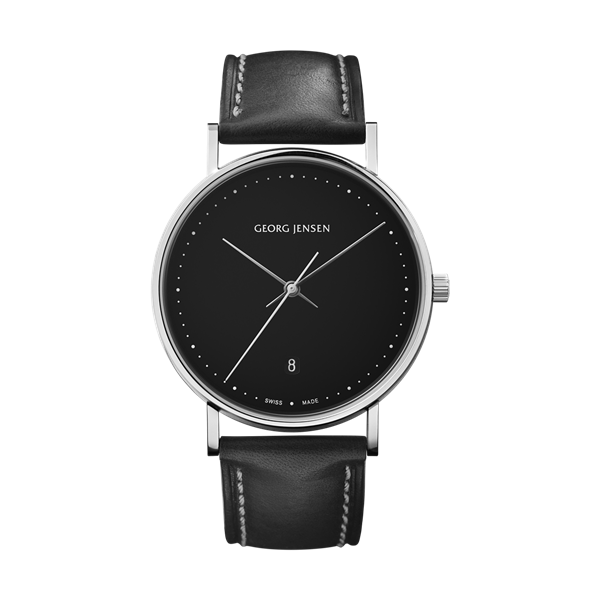 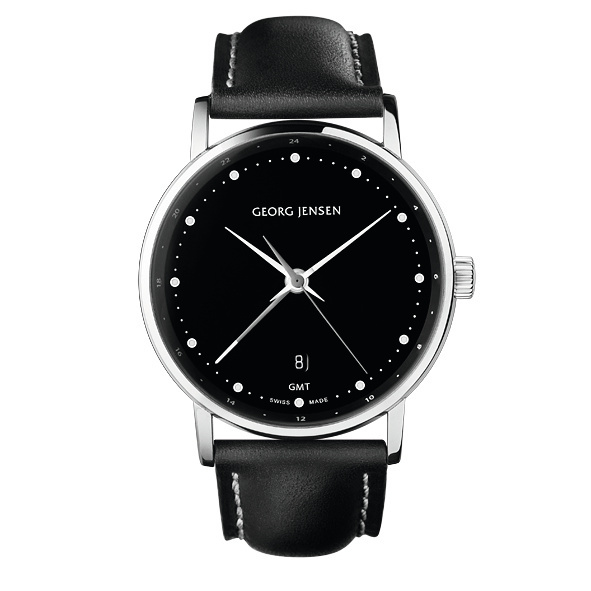 This Georg Jensen Koppel 517 watch features a black numberless 41mm chronograph dial and is then fitted with an ultra-precise, Swiss Made quartz chronograph movement and sapphire crystal. 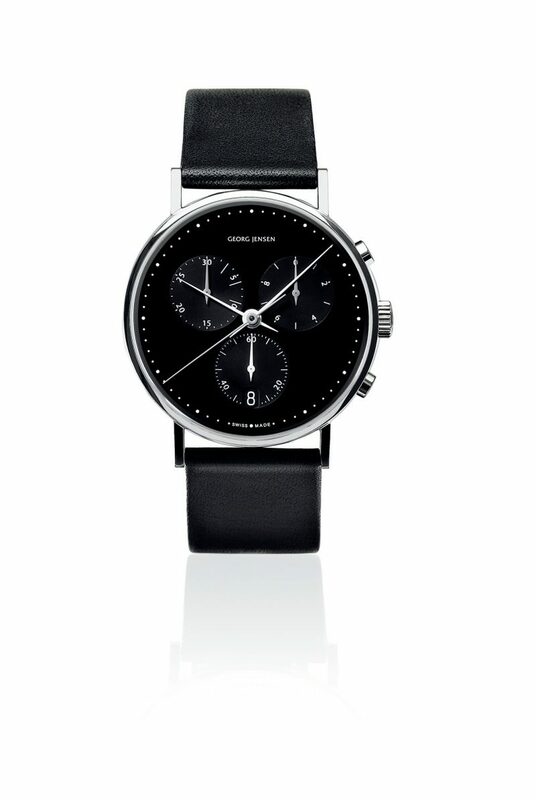 The Koppel Chronograph is the sportier of the Koppel watches for gents. 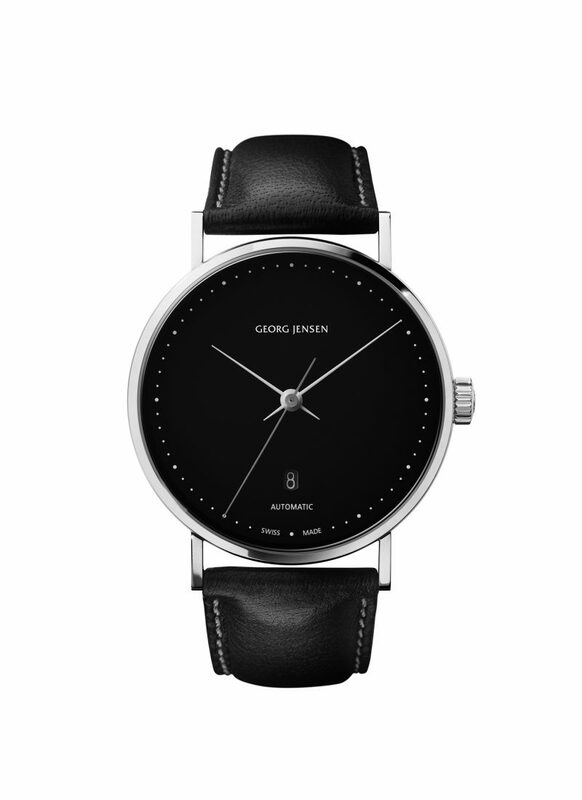 The Koppel watch collection is timeless and contemporary in design.